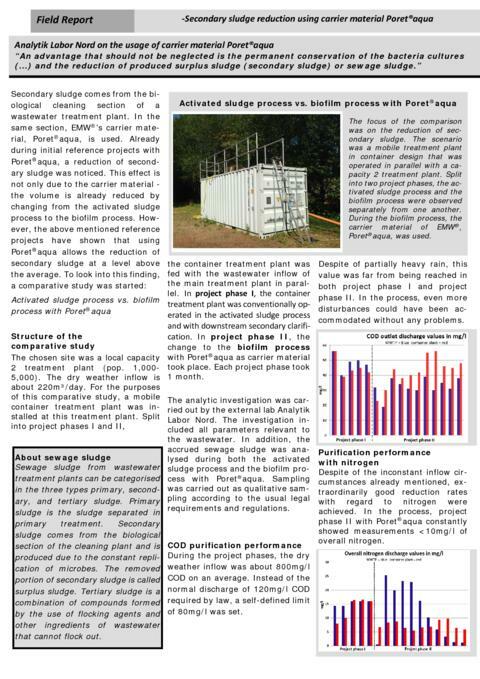 Presenting: Poret® aqua, the carrier media for biological wastewater treatment. 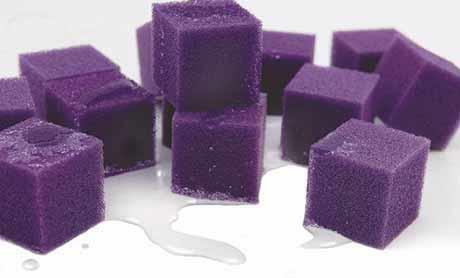 Specially developed for this application sector, Poret® aqua has a high effective specific surface area of 1000 m²/m³. This provides ideal conditions for growth of various biodegrading microorganism cultures throughout its open-cell pore structure. 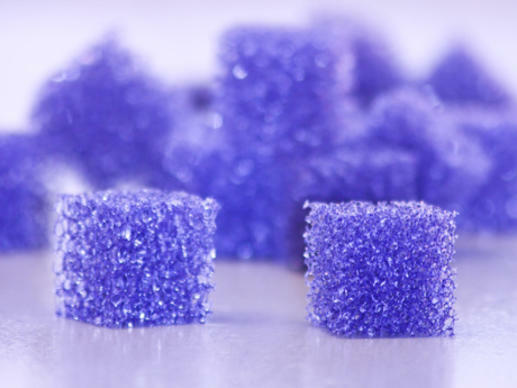 Poret® aqua is a biofilm carrier media used for fluidized-bed wastewater treatment in moving bed biofilm reactors (MBBRs). The fluidization action, i.e. suspension and agitation of the biofilm carrier elements, is provided by air flow passing upwards through the reactor. 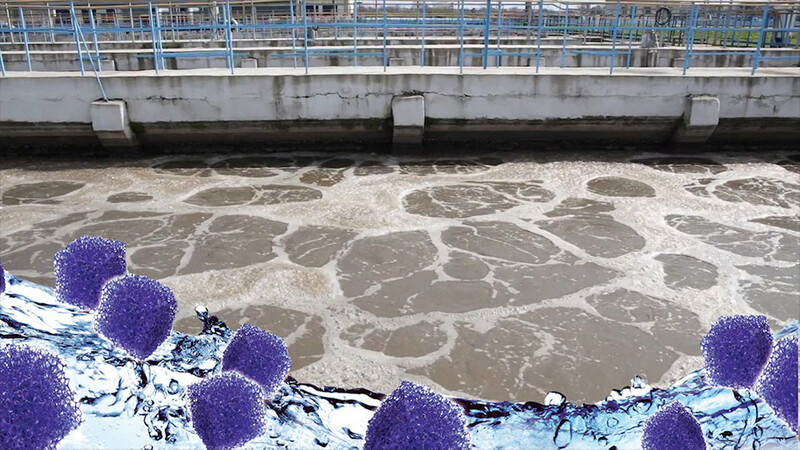 Fluidized bed processes provide reduced secondary sludge generation and therefore lower disposal costs as compared to conventional activated sludge processes. Poret® aqua enhances this effect by providing ideal conditions for high activity of the biodegrading bacteria cultures on a long-term basis. Carrier media have the job of degrading wastewater pollutants. They provide suitable living conditions for bacteria cultures and therefore ensure an efficient and stable degradation process. The specific surface area of the carrier media, a key property in this regard, can be thought of as the bacteria cultures' housing quarters. A distinction must be made between theoretical and effective specific surface area, two characteristics which are occasionally confused in carrier manufacturers' sales literature. The effective specific surface area, i.e. 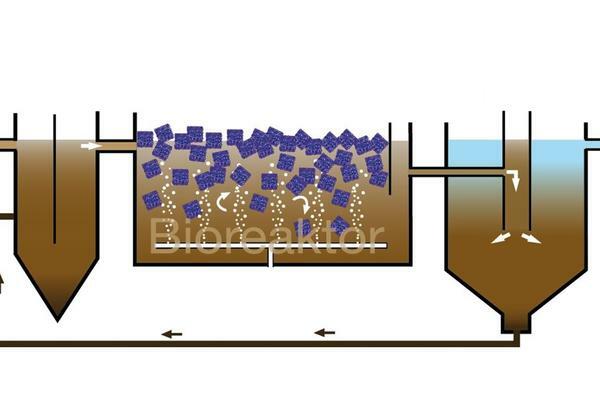 the accessible surface area for bacteria growth, is by far more important from the standpoint of biofilm degradation. 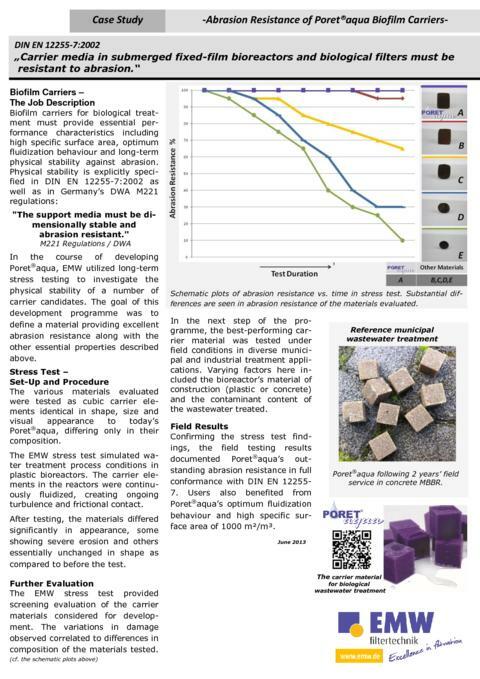 Along with high specific surface area, carrier media must provide excellent permeability, good suspension behaviour and high resistance to abrasive wear. 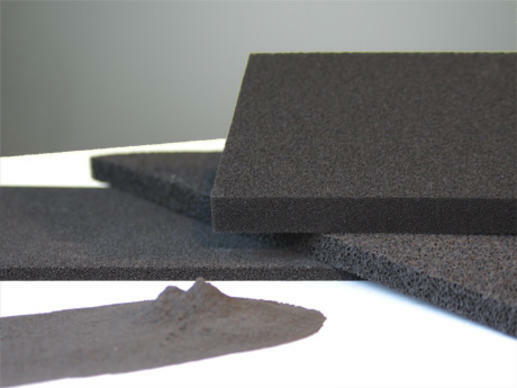 Filter foam impregnated with water-grade activated carbon, used for pollutant removal from fish ponds, home aquariums and wastewater treatment plants.